I am often asked: "How did I come to be interested in writing a book on an Aboriginal language?" 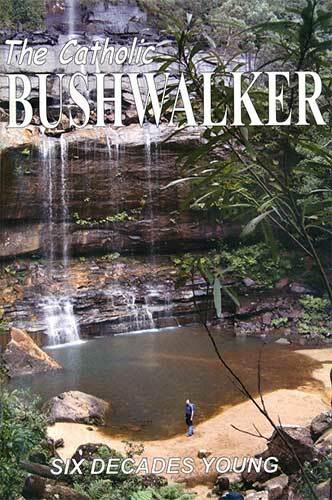 It really started almost 70 years ago when I took up bushwalking in the Blue Mountains, and a very special area there was the Burragorang Valley and its hinterland only about 15 km southwest of Katoomba. 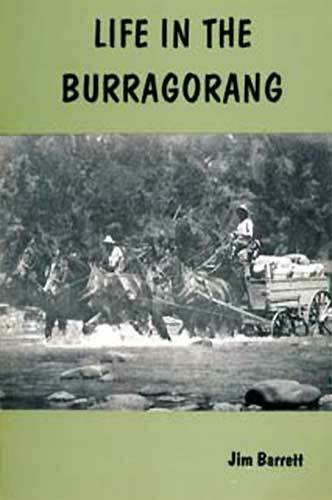 The Burragorang was first settled by non-Aborigines in the 1820s, almost primarily by ex-convicts. 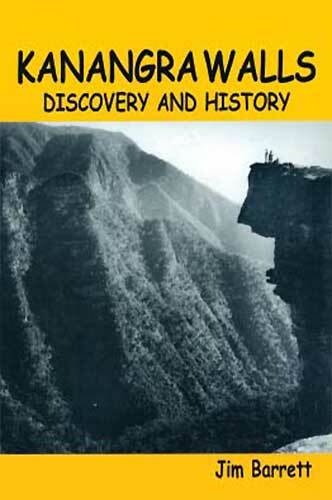 In more recent times (the 1990s) I began writing books about the history of the Blue Mountains including the Burragorang Valley. 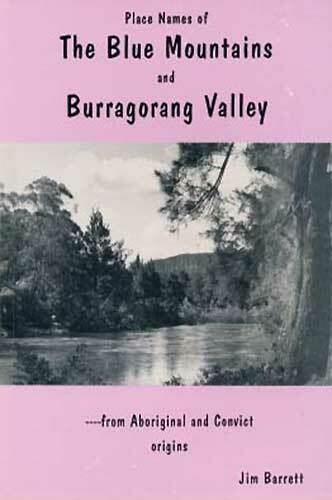 Two very important books (in 1994 and 1995) were "Life in the Burragorang" and "Place Names of the Blue Mountains and Burragorang Valley". 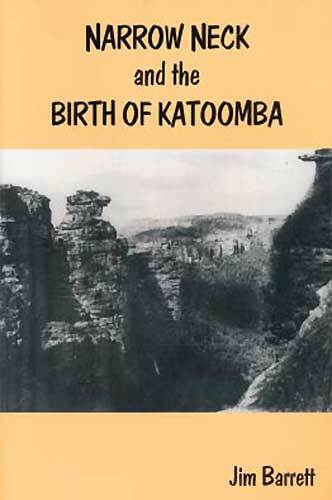 During the two years of writing these two books I began to realise that in the 1800s another significant group also had formed a strong presence in the Burragorang, namely: descendants of the Gandanguurra people. Following are a few cases of very, very close associations between the white newcomers and the resident Aborigines whose ancestors had been in the area for some thousands of years. These examples illustrate a strong bond between the ex-convicts and other settlers, and the Aboriginal people, strikingly different to the story of how Aboriginal people were treated in other parts of NSW and in other states of Australia. 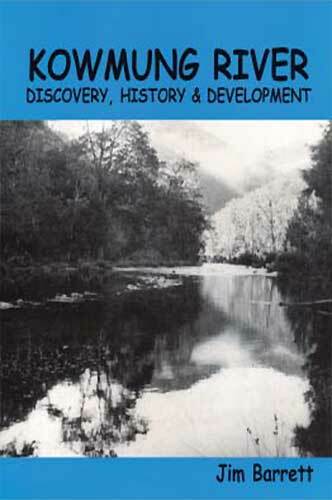 Thomas Seymour discovered Kanangra Walls in 1864: his route took him past the Jingery camp site on the Kowmung River. Thomas's grand-daughter told me that Thomas had a working knowledge of the Gandanguurra language, almost certainly learnt from the Jingery people. He had also prepared a summary of the language in an exercise book, which sadly has been mislaid. Jimmy Pippin was a blood brother to his local tribe, and was protector of the "red hand rock" in Upper Burragorang, a great responsibility ... To become a 'blood brother' was a rarity indeed. Peter Fitzpatrick was said to be as good as a native, for he also knew the Gandanguurra language and could use a spear and boomerang as well as any Aborigine. The local Aborigines called him Burrung gullut (quite an honour). In July 1875, John Jingery "an Aboriginal native" applied to buy a 40 acre block on Scotts Main Range through his 'agent' – Robert O'Reilly. Robert ran cattle on the Lower Cox. 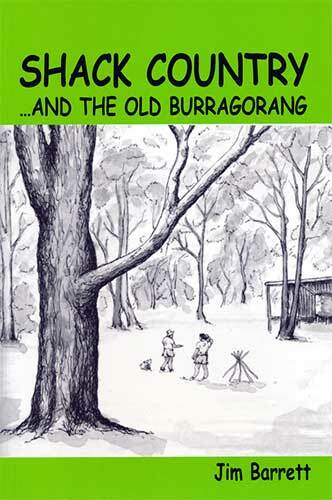 The Burragorang Aborigines showed their gratitude by showing Mr O'Reilly a short cut for him in taking his cattle from the Lower Cox to the Upper Cox. About 80 kms. In pre-dam days (the Burragorang was flooded in 1960 for the Warragamba Dam) there was a 'red hand rock' a couple of kilometres up the river from Bimlow. Mr Maurice Hayes knew the rock for 50 years. The Aborigines eventually gave him to understand that "the hands were the imprints of those of their deity, when they were on earth". Mrs Longbottom was an Aboriginal woman, with some reputation as a midwife and who smoked a clay pipe, and accepted the remuneration for her services in the form of plug tobacco. She assisted birthing women, not only of her own race but also European women, using some of her tribal medicine and practices. In 1929 Fathers Keith Bush and Steve Ford, as seminarians, walked from Wentworth Falls to Picton. 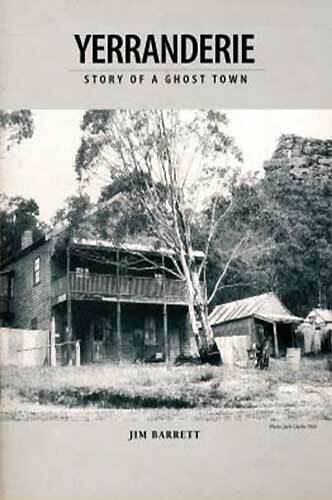 On the way they came across a camp of Aborigines in the Burragorang Valley, on Cox's River, near the Wollondilly junction...(This spot would have been very close to the farming settlements of the white newcomers ). These years – the 1800s – was a period in which terrible injustices were wrought on Aboriginal communities in other parts of NSW, but I have demonstrated that the Burragorang Valley was a shining example of an opposite situation. 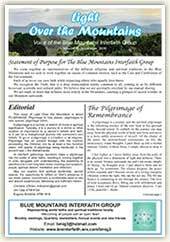 "With great humility and much affection I dedicate these pages to the original inhabitants of the Blue Mountains and to their descendants, but especially Margaret Jordan, a Billy Lynch (Cox's River) descendant, and Ivy Brookman – nee Riley, a George Riley (Burragorang) descendant, who many years ago encouraged me to put on paper the story of their beautiful language. Following publication of this book it is my hope to complete a simple text book containing an elementary grammar suitable for those who would be interested in acquiring basic conversational skills in the language." I am fairly confident that my work is grammatically correct, but if anyone thinks otherwise, I would appreciate being advised. Also, difficult job for me was to work out the western boundary of the Gandanguurra territory, and in this regard, some readers might have other opinions. If so, I would be grateful to learn of same. They say, offi cially, that the Gundungurra language is extinct, or sometimes, sleeping, meaning that enough may be known about the language to generally speak it, but no one is currently doing so. Extinct, it's such a harsh word, with a sharp edge of finality. But is this true? The language was originally not written down, as we would all know, and many old Gundungurra people I have spoken with say they were either told not to speak it, or forbidden too. 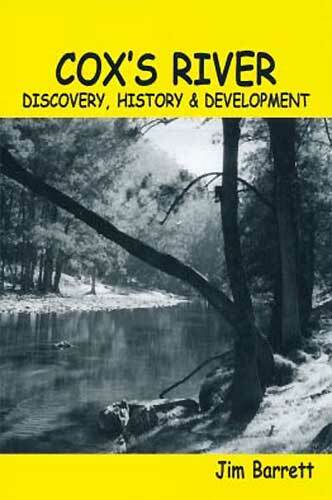 However, around the turn of last century, a number of concerned individuals sought out Gundungurra speakers and recorded words lists as well as basic grammar and a few phrases, much of this material then remaining hidden in libraries, unpublished records, the personal archives of particular families and the occasional specialist publication. 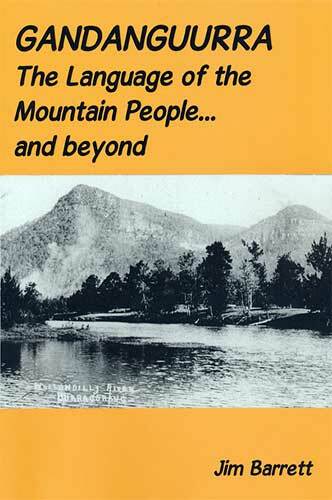 In the book, Jim explains that in total, approximately 1200 Gundungurra words are known, out of a probable 10,000 as occurs for other Australian languages. But fortunately, as mentioned, significant elements of the grammar were recorded to enable him to examine the building blocks of the language and reconstruct it from the ground up. Jim unpacked the system of diacritics employed by early researchers and this enabled him firstly to develop a Gundungurra alphabet – 21 consonants, 3 vowels, two semi-vowels and two diphthongs. What makes Burragorang so special? It is not so much an emotive response to the fact that a scenically beautiful valley had to be drowned in order to satisfy a city's need for water. Beautiful it was before, and beautiful it is now, but in my mind the reason for its 'special-ness' is more philosophical . . . The circumstances under which the Valley was settled are twofold: the controversial issues of convict emancipation in Australia, and the attempts to breach the western barrier which constrained the development of the young colony. 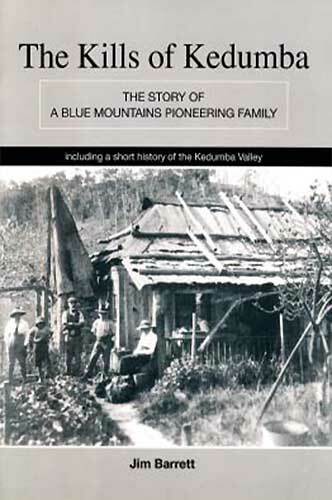 This is a story of how the southern Blue Mountains and Burragorang Valley were named. The historic cornerstone of this project was an ex-convict input which lasted a few decades and of local Aboriginal names which perforce must compress a fifty thousand year old culture. In 1874 there was nothing at Katoomba apart from a railway siding called "The Crushers", so named after the nearby quarry and crushing equipment which supplied ballast for the permanent way. Between 1879 and the 1880s John Britty North started mining for coal and shale below Orphan Rock and Narrow Neck. These early mining operations were mainly responsible for the establishment of Katoomba, and for the opening up of Katoomba's now famous scenic attractions. The core of the story of the Kills of Kedumba is the marriage of George Kill and Mary Ann Hunt and the years which they spent on Cox's River. The Kill site was associated with efforts to extract cedar from the Kowmung River catchment. Kanangra Walls has been called the most beautiful place in Australia. I make no excuse in adding my voice to such claims. For almost half a century I have returned to Kanangra time and again – either just to mooch around its glorious lookouts, or to explore its great flanking precipices and canyons. The Kowmung River rises to the south and southwest of Jenolan Caves. Its two source tributaries are the Hollander's River which drains the high ground two miles to the south of Jenolan, and the Tuglow River which has its source on the Main Divide at Shooters Hill. The junction of these two streams is the official beginning of the Kowmung River. Almost the first (top) half of the Kowmung shapes a huge hook around the Kanangra-Boyd National Park, before it continues in a generally north-east direction to its junction with Cox's River. 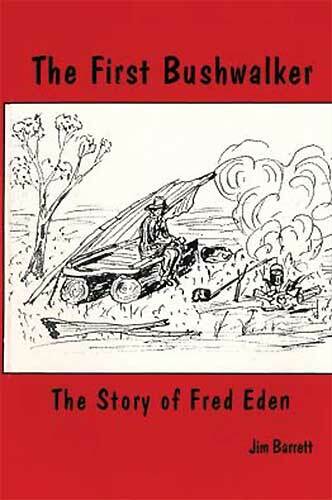 This is the story of Fred Eden, an English traveller who arrived in Sydney in 1889. 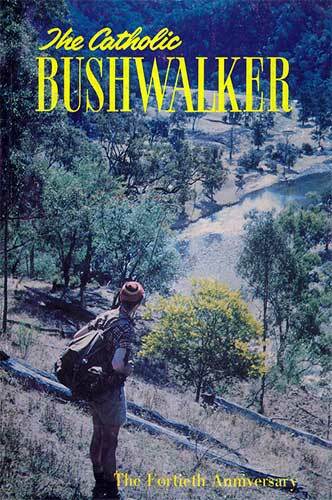 He lived in Australia for the next twenty-five years, much of this time being spent walking around Eastern Australia, South Australia and Tasmania. 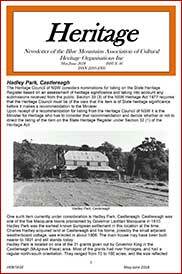 In the early 1900s he settled down in the Blue Mountains of New South Wales. His extensive travels and keen observations of the Australian scene were recorded in detail in diary form. 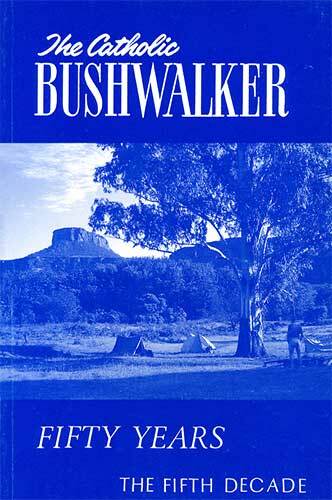 Although most of these journals have been lost, the handful remaining permit a fascinating insight into the accomplishments of an obsessive walker and into the memoirs of an encyclopedic observer. 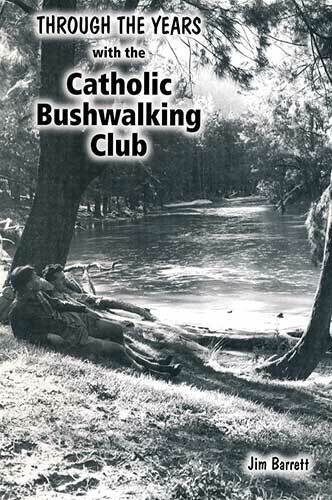 Four Beautiful Book recalling the history of the Catholic Bushwalking Club whose members took their first steps into the bush under teh guiding hands of Dot Clayton and Paul Barnes on a trip down Calna Creek on 14 February 1943.